The Etymotic ER3SE is Etymotic’s newest model, priced between the flagship ER4SR/XR and the more budget-friendly MK5. The sub-$100 headphone market is the most competitive, but the continuing trend of higher-quality, more expensive headphones have driven the affordable market to now include models that manage to stay below the $200 mark. With that being said, it is clear that Etymotic has entered into an extremely competitive market. In the midst of such fierce competition, companies often need to be innovative in unique ways to gain a competitive advantage. Despite being one of the most vanilla brands within the audiophile universe, Etymotic has managed to successfully secure a position within the sub $200 headphone market. In this review, I’ll get into the specifics regarding design and build quality, sound quality, usability, and how it compares to other models in its class. 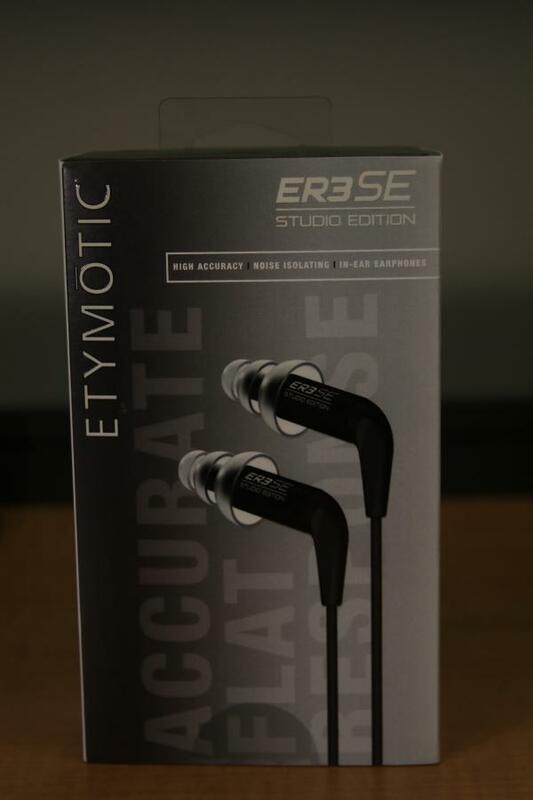 As a disclosure, Etymotic did send me the ER3SE as a complimentary review unit, however, all the information in the review will be neutral and informative as can be. Now lets, get into the review. The Etymotic ER3SE comes in a pretty standard looking box with plenty of photos and some technical specifications on the side of the box, but you can tell Etymotic is more about sound than the unboxing experience. Inside there is a neat assortment of accessories which compliment the earphones well. To start off, there is a carrying pouch that appears to be more for the use of carrying the earphones rather than protecting them. It may not be a miniature Pelican case, but the pouch will do a better job of protecting the headphones than by simply not using anything. A shirt clip is provided for a more secure fit while wearing the headphones. From a personal standpoint, I loop the cable in through my shirt so that the cable is not visible, decreasing the chances of the cable catching on something and giving a more secure feeling when wearing them. The shirt clip did come in handy in situations where sliding the cable through my shirt wasn’t an option. Inside the box, there was also a healthy assortment of ear tips. By now Etymotic has become well known for their triple-flange tips as well as their foam tips. As with any set of universal in-ear monitors, the fit is really going to depend on the person. It is worth noting that people who don’t normally use in-ear monitors will have a much more difficult time getting used to the deep insertion of the triple-flange tips. For these people, I recommend that they try the foam tips and then transition to the triple-flange tips. If neither of the provided options works, then third-party tips will be the next best alternative. Luckily, for those who can’t find a good fit, there are plenty of third-party options available on Amazon and other websites. An alternative to universal ear tips are Etymotic for custom tips; however, those will cost a pretty penny. Also included is a tool which is meant to clean the nozzle when it becomes too filled up with debris. It was designed specifically to clean the earphones and works better than something like a paper clip, so I would recommend keeping it in a safe place and using it! And lastly, there are two extra filters for the nozzles. Etymotic doesn’t provide more than it needs to, but what it does provide is greatly appreciated. The one accessory that I felt was missing was a 3.5mm to 1⁄4 inch jack adapter. Although these are more geared towards consumers with a demand for high-quality sound, these are still good enough to be used in professional audio settings. That being said, it would have been nice if Etymotic had included one of those as many of the people who purchase the ER3SE might be inclined to use them with more potent amplifiers or DACs. When taking a look at the earphones themselves, there really isn’t a whole lot that stands out from them. With the foam tips on they look like standard everyday earphones. This isn’t a bad thing, however, as they don’t draw any unwanted attention that other more flashy models might bring with them. With the triple-flange tips, they appear slightly intimidating as the thought of inserting something that deep does become hard for some people to swallow. Luckily, after some getting used to, the tips eventually become easier to bear, but it is worth remembering that this will largely depend on the individual. What took me by surprise when I first held the earphones was that the barrel and the nozzle are made of aluminum. Most earphones within this price range tend to be made out of plastic, so the metal construction of the ER3SE makes them stand out. It’s also worth mentioning that the cable is detachable and uses an MMCX connection. The included cable feels both pliant and durable, and historically Etymotic cables have stood up well. There was one aspect of the cable that annoyed me, and that was that it was hard to distinguish the right earpiece from the left one. Even with good lighting, it was hard to see the R and L indicators on the side of the earpieces. The length of the cable is very good for portable applications, but I’m guessing some would prefer a longer cable for stationary use. At the end of the cable, there is a right-angle gold plated jack. It’s not much to look at, but it feels sturdy and will work well with most portable devices. In my use, the cable didn’t make much noise at all when walking around, even without using the shirt clip. An ergonomic issue that I did run into is that because the bodies stick out a bit, they catch a fair bit of wind noise. This was alleviated somewhat when I wore the earphones in the around the ear style, but nonetheless, the issue was still there. Although I don’t expect this to be a complaint from the people who would consider buying this model, sleeping on these is virtually impossible as they will only be shoved further into the ear, causing more discomfort. Again, I don’t expect it to be an issue for the people who are purchasing these, but for those individuals who are accustomed to sleeping with their earphones, these are a very poor choice for such an application. Now I want to get into one of the features that gave Etymotic the positive reputation that they have. This, of course, is the passive noise isolation. 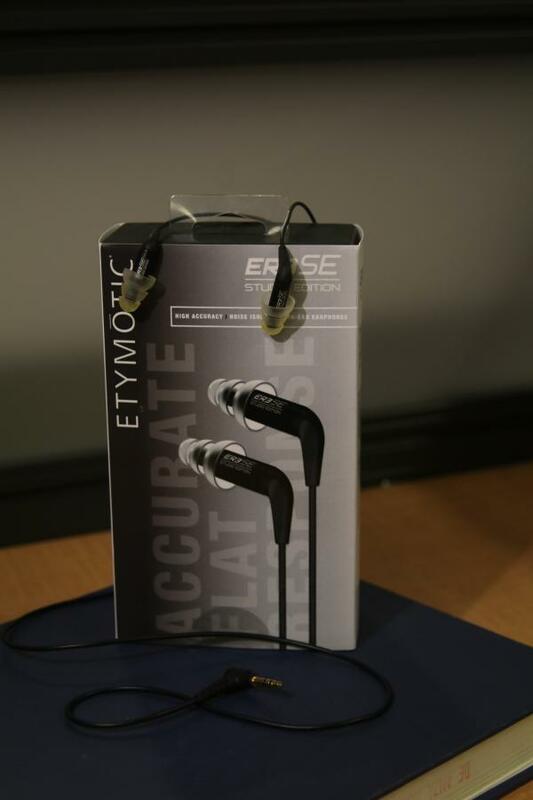 Having used a myriad of in-ear monitors and closed-back monitoring headphones, I can say without a doubt that the Etymotic earphones provide the best passive noise isolation I have experienced. Of course, this is assuming that the earphones fit well in the ears of whoever is using them. There are a few models that come close to the level of noise isolation these provide, but in side-by-side comparisons, there is a distinct divide in the amount of noise isolation. Even with no music, the ER3SE still provide a tremendous amount of noise isolation. With music playing at medium levels, the level of isolation actually becomes dangerous in my opinion. It becomes impossible to hear people unless they are in the same room as you and are shouting at you. At noise levels above 75% on most music players, you essentially become isolated from the outside world. This means that these earphones are excellent for traveling and studying. While on the topic of noise isolation it is worth noting that passive noise isolation is different from active noise cancelation. Nevermind the technical differences, I am strictly referring to how the noise cancelation sounds. For the most part, passive noise isolation is better for making everything sound more dull, thus working better for reducing high-frequency noises. This means that the type of noise cancelation that the ER3SE provides is better suited for study halls or construction zone environments. On the other hand, active noise canceling headphones work better for tuning out lower frequency sounds like the hum of an engine or the rolling of wheels. In my testing, I found that the ER3SE didn’t isolate noise as well when on a bus as I was still able to hear a fair bit amount of both the engine and the wheels underneath me. Don’t get the wrong idea, the noise isolation in this type of environment was still spectacular, however, it did not compare to the quality of noise cancellation that is provided by active noise canceling headphones. As a short summary, the ER3SE provide better noise isolation when used in more stationary environments. On a side note, I was serious when I said that the noise isolation can be dangerous as it makes it hard to be aware of your surroundings. I would advise not wearing past sunset when walking around town. In general, I would advise not wearing these when walking around, unless in full daylight and if you are aware of your surroundings. When it comes to the design on the ER3SE, this is certainly a model that prioritizes functionality over aesthetics. It’s not a “bad looking” set of earphones if you could even call earphones ugly, but there is nothing about their design that will make other people notice them. In part, this is a good thing. It has a practical design that will work very well in most applications. The build quality is also amazing, especially for something in its price range. To top it all off the noise isolation on these it top-notch, meaning that you’ll be able to concentrate more on your music instead of the noise around you. For those that value function over form, these are going to be a fantastic choice. Overview: Etymotic is a company that has been around for over 30 years and is actually the company the pioneered the universal in-ear monitor. In that time they have only released a handful of consumer models with the ER4 being the oldest. There have been some minor revisions from time to time, but overall the house sound of Etymotic has remained the same for the most part. 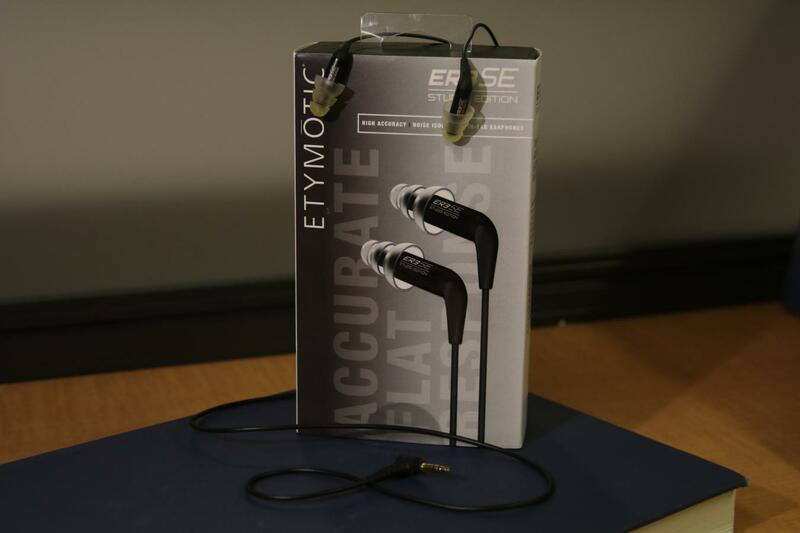 By now most people have reached the conclusion that Etymotic earphones are either some of the most accurate-sounding, or some of the most mediocre sounding. From my perspective, it’s fair to say that these in-ear monitors are greatly misunderstood. In the sound analysis, I will go over how the ER3SE sounded to me and why they might sound the way they do to other people. Along with this, I will also cover why this model is Etymotics way of saying that they can no longer stick to accepted ideas from 30 years ago in today’s rapidly evolving headphone market. As a disclosure, it is worth reminding the readers that although I will try to be as neutral on the sound quality as I can, how ironic given this review, at the end of the day I am still a human and a small portion of my inherent bias will seep into the review. This the area of the sound analysis that is the most misunderstood in my opinion. 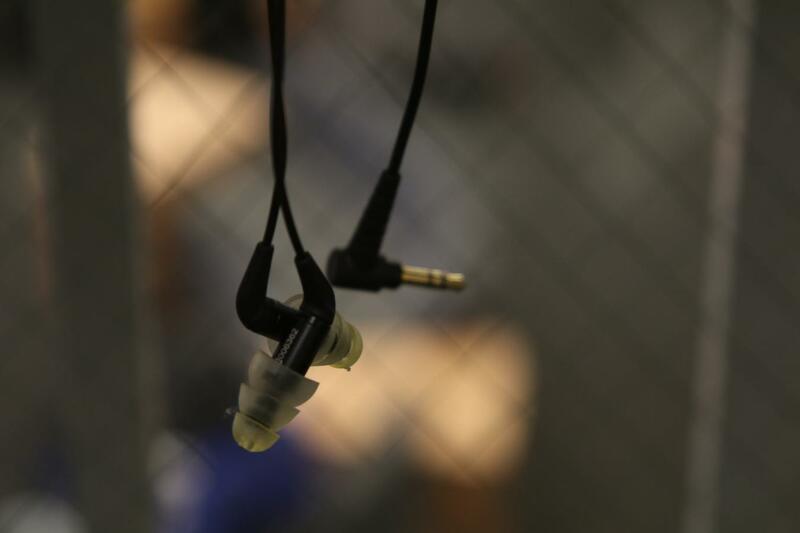 Before moving forward, it is important to remember the intention of these earphones. Along with the flagship ER4SR, the ER3SE was intended to be sonically accurate in order to be used in studio applications. We’ll get into what that means later in the review, but essentially it means that the bass levels must be maintained at a certain level. To most people, this means that the bass levels are reduced to insignificance as many who try Etymotic earphones are turned off by the conservative quantities of bass. But after having used the ER3SE and allowing other people to use them I think I understand the answer. For many years now it has been noted that many of the people who don’t like the sound of Etymotics are simply not wearing them correctly. Not surprisingly, many people today are used to wearing earbuds like the Apple Earpods which rest on the outside of the ear. This type of design requires no deep insertion; however, in the end, it also produces mediocre sound quality. Personally, I had no trouble putting these inside my ears but what I observed when other people tried these on made me laugh out loud as they would simply rest them on the outside of their ears as if they were earbuds. What happened next is that they complained about not hearing any bass, the sound being quite and that the earphones were constantly slipping out. With this observation, it is easy to see why many people don’t like the sound of Etymotic earphones. However, even when correcting the fit of the earphones, most people still told me that the disliked the sound because they felt that there was not enough bass. As someone who is familiar with popular music trends, it was obvious to me why people were still complaining about the bass. Despite the bitter resentment from Baby Boomers and Gen X, more people are listening to contemporary genres which include the likes of Trap and EDM. These genres are much more bass heavy and overall, are so fundamentally different from previous more sedate genres of the past, that a “neutral” sound signature will simply not cut it. These genres demand deep rumbling bass that can smack the heads of listeners. Obviously, the ER3SE being the set of earphones that it is, won’t provide this. But this is only the opinion that I received from the average music listener, and by average I mean my circle of acquaintances who are on average under the age of 25. As a significantly more experienced listener, I have a different take on the bass of the ER3SE. I enjoy a wide array of genres so how I reached my resolution on the quality of the bass on the ER3SE is quite different from that of the typical audio reviewer who often only evaluates headphones with a handful of similar genres. With the explanation of the sound quality out of the way, the best way I can describe the bass on the ER3SE is to say that there is enough for what it was intended to be. If a DJ purchased a set of headphones that didn’t have high amounts of bass then they would not use those headphones. Someone who edits audio and needs to hear as much as they can with as little coloring as possible will find the bass on here to be just the right amount. In my use, I found that the amount of bass was perfect for genres like Classical or Folk which inherently don’t feature the high amounts of bass that more contemporary genres feature. Because of this, the quality of the bass differs depending on the type of music. With less bass intensive tracks, the lower frequencies are not lacking. Along with the previous description, I would also say that the bass on the ER3SE is clear. Up until this point, describing bass as clear didn’t make sense to me. However, after listening to the ER3SE, I now realize that such a thing is possible. 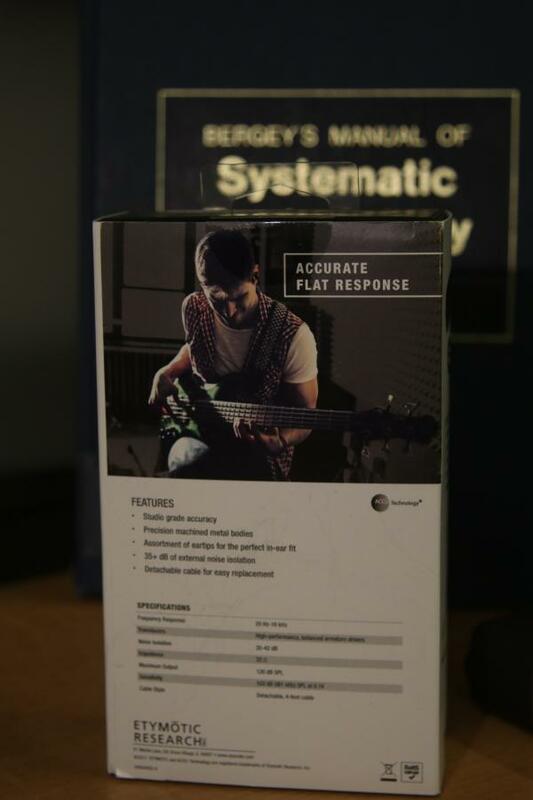 Having definition in the bass means that is is easier to distinguish the different types of lower frequencies. On more bass-heavy headphones, it is harder to distinguish all the lower frequencies and as a result, everything is chaotically mashed together. There are varying levels of lower frequencies and the ER3SE is one of the few earphones that allows me to hear the fine lines between the different types. This is important because not all lower frequencies sound the same, therefore they cannot all be evaluated the same way. The lower-bass region is what is responsible for the physical rumble that is felt when listening to music through a system that includes a subwoofer. There aren’t many songs that feature this type of bass as it is mostly used in films. However, the track ‘My Heart Will Go On” by Celine Dion is one of the few tracks that did have this type of bass. What I’ve noticed is that the lower frequencies on this track usually aren’t heard through headphones. Most of the time I can only hear the bass on this track when listening to it through an adequate home theatre set up. I was surprised to hear the bass on this track when using the ER3SE. After hearing so many people say that the bass on these earphones was inadequate, it came as a surprise to hear the lower frequencies, and not just hear the bass, but I was able to get a sense for it. It occurred to me that this level of definition on the bass would be needed when editing movie soundtracks and also when mastering the final version of a music album. Just from this portion of my analysis, I concluded that if there was bass on a track, then the ER3SE will make it appear on the radar. The bass didn’t come off as overly bloomy, it gave me just the right amount of visceral impact. Of course, it didn’t sound the way it would on a 7.1 home speaker system, but I was able to get a sense of the lower frequencies nonetheless. Moving along, in order to evaluate what I refer to as “regular bass”, I used the track “Doing it Right” by Daft Punk. When testing for bass, this is my go-to track as the quality of the lower frequencies here is phenomenal. The track starts off slow but when the bass comes around, it makes its presence known. Contrary to what others might say, I was able to get a sense of the curvature of the bass with the ER3SE. It’s almost as if I could reach my hand out and touch the lower-frequencies. For clarification, this doesn’t mean that I heard so much bass that I was able to “feel it”, but rather the presentation was clear enough that I get a good feel for what was there. I’ve experienced this feeling before, hower in those cases I tend to get the feel for the bass simply because the quantity is elevated to a high degree. It was an odd experience getting that same feel without having muddy bass. What’s more, since the detail in the bass was present, I heard not just the initial slam, but also the reverb that comes afterward. Again, this reinforced my conclusion that the bass on the ER3SE was not lacking, but detailed. For those that are used to getting muddy bass shoved down their throats, this model will not be the type to satisfy. For those who want a clean presentation, the ER3SE will surely deliver. Along with lower bass, upper bass is another region that many headphones struggle to reproduce well. In part, I think this is because this is a region of the audio spectrum that isn’t utilized by many tracks, but for the most part its likely due to the fact that single drivers can’t reproduce the same type of bass that multi-driver speaker can. Regardless of that the ER3SE still impressed me with the way it handled the track “Countdown” by Hardwell. Being an EDM track, this song features heavy amounts of hard-hitting bass. Many headphones, including higher-end audiophile models, have struggled to reproduce this song, especially when the volume is raised past 75%. Above this level, many headphones simply begin to distort, although the level of distortion varies dramatically between models. On the ER3SE, the upper bass hit hard without ever coming close to sounding sloppy. Even though the track itself was full of bass, it was extremely well controlled. In the end, the keyword when listening to the bass on the ER3SE is that it is controlled. I say this because assuming you are able to get a good seal with the provided ear tips, the bass on a track will show up when listening through the ER3SE. But we do not live in an ideal world, we live in a society, which means that not everything is perfect. When testing genres or tracks that are intended to sound “good”, the ER3SE has no problem replicating the lower frequencies on these tracks faithfully. There is one genre which has somehow evaded the radar of most audio reviewers. I am of course talking about Rap, and the smaller branches of hip-hop and trap. This genre is well known amongst audiophiles for generally having subpar sound quality. This is true for the most part, as even more mainstream artists like Drake have trouble creating an album that doesn’t end up sounding like a hot mess. I am strictly referring to the sound quality, the quality of the music is another matter. Despite this, I still find Rap to be essential when reviewing a set of headphones as the bass offered here is on another level when compared to most genres. Even other bass-centric genres like pop or EDM simply don’t compare to the level of bass or the type of bass, that is heard with rap music. What I am trying to get at with this, is that after listening to various tracks from this genre of music, I was left with mixed feelings. My go-to track when testing for “rap bass” is “Butterfly Effect” by Travis Scott. This song is about average when it comes to the lower frequencies that a trap song can offer, but significantly more than most other songs. When listening to this song with the ER3SE I once again felt that the bass was present and that the detail in the bass could also be heard. The presentation was clean, but I dare to say that it was not accurate in that it didn’t portray what the artist intended for the listener to hear. Songs like these are meant to be heard with speaker systems that have more subwoofers than actual speakers. Yes, the bass could be heard and it was detailed as well as clean, but the element of enjoyment was missing. The ER3SE is an analytical IEM, make no mistake about that, but I was not missing that same sense of enjoyment when listening to either pop or EDM. Even after trying other tracks from the same genre, I continued to get the same feeling of depravity, as if something essential was missing. I came to the conclusion that the type of bass that is needed in order to make these genres sound enjoyable is simply not able to be delivered from the controlled nature of the ER3SE. The fact of the matter is that genres like rap are not meant to sound controlled, therefore IEMs like the ER3SE won’t be able to replicate tracks from this genre accurately. This is a scenario with neither the IEMs nor the track itself can be blamed. They are simply not compatible, which creates an issue that I’ll get into later. The bottom line is that when it comes to the lower frequencies, the ER3SE is very good at delivering what is available on a track. It will replicate what is there with a high level of precision, not ever allowing itself to become overbearing. For about 90% of the music out there, and I think certainly for the target audience of the ER3SE, the bass that is provided will be a sufficient amount. But again the thing to remember is that these IEMs are aimed at a specific audience, and that audience will be more likely to be satisfied with the amount of bass provided. The same can’t be said for the average music listener who enjoys more contemporary genres. To this portion of the audience, the amount of bass that the ER3SE provides will simply not be enough. That doesn’t mean that there isn’t bass, but it does mean that the perceived quantity will largely be dependent on the individual. But this would also depend on what musical preferences that individual has. Being someone who listens to a very diverse range of genres, I can say undoubtedly that theER3SE has a conservative quantity of bass that is compensated by a high degree of speed and quality. That is a basic trade-off that is made with single driver headphones. For almost all genres the bass on the ER3SE will be great in the quality department, but some will find that the quantity is not enough. This portion of the audio spectrum often receives the least attention when compared to either the lower or high frequencies. Despite being the most common frequency in the real world, it is not looked at as closely during audio reviews. The closer that a headphone is to a “neutral” sound signature, the easier it is for the mids in a track to be noticed. This is certainly true in the case of the ER3SE. When listening to tracks that featured female vocals or mid-centric instruments like the cello, I found that it was easier to focus on this portion of the audio spectrum with the ER3SE than it was with headphones that emphasized either the bass or the treble. This isn’t to say that the mids on the ER3SE are overly emphasized, it just means that there was less clutter from the two other frequencies. Like the bass, there are also different varieties to the mids with some being better portrayed than others. The first track I used to test the mids is one that emphasized the lower mids. This track is well known for being overused during audio conventions. “Hotel California” by the Eagles may be one of the most overplayed songs for hi-fi enthusiasts, but not without good reason. The male vocals on this song are enchanting. With the ER3SE I was able to hear plenty of detail, but I also heard a layer of heft that is needed in order to make male vocals sound more authoritative. In my experience, mid-centric headphones have the habit of only focusing on the upper mids, in an attempt to cater to female vocals. What ends up happening however is that the male vocals end up sounding thin. Sure, the clarity in the vocals remains, but male vocals need more than just detail in order to sound convincing. Thankfully, the ER3SE doesn’t sacrifice realism for the sake of more clarity. The vocals on this track sound as if they were coming from a man. Female vocals are a different train altogether. As I’ve just explained, without an emphasis on the upper mids, female vocals on the ER3SE sound cooler than they otherwise would. The track used for this test was “I love you always forever” by Donna Lewis. Before moving forward, I want to point out that I prefer using older female-centric tracks as they sound far less artificial than more contemporary tracks. Listening to someone like Ariana Grande through an IEM like the ER3SE can actually be mind-numbing as the high degree of compression makes everything sound overbearing. It’s like having high fructose corn syrup shoved down your ears. Older female-centric tracks like the test track I used actually sound pleasant through the ER3SE. With these IEMs, Donna sounded graceful, almost like having your ears stroked with silk. The detail on this song was spectacular without ever becoming annoying. I also didn’t hear any sibilance, which gave me a sense of relief. But as I said previously, without an emphasis on the upper mids, this track ended up not sounding as flamboyant as I’ve heard it with other, more colored headphones. Like rap songs, these types of female-centric pop songs are meant to be heard a certain way. While a neutral sound signature might reveal all there is on the track, it won’t add anything to it that would make it sound more enjoyable. But depending on who you are, this can be a good or a bad attribute. Moving away from human vocals, I want to focus a bit more on instruments. I think that the cello is an instrument that is great for testing mids, and for my analysis, I used the track “Cello Suite No. 1 in G major” by Bach. Jumping straight out to me this track sounded a bit quicker than from previous times that I’ve heard it. I figured that since the mids on the ER3SE were more fast-paced than typical IEMs in this price range, then the track was going to sound faster overall. It also sounded a bit more one-dimensional, this was likely due to the lack of any major emphasis on the mids. The experience was less like the ER3SE adding more detail, and more like removing a thin veil from the track. This meant that I was able to hear the varying levels of emphasis that was placed on the cello during transitions. Like any string instrument, a cello piece does not play one continuous note. The notes are constantly being switched which does cause noticeable changes in the sound of the cello. Of course, this is how music is made. As I said previously, the lack of a veil allowed me to notice these transitions more easily. The detail was great overall with this track, really no complaints in that department, not to say that cellos ever become overbearing. Next, I tried the “Piano Sonata No. 14” by Beethoven. Piano tracks are some of the very few that are hard to ruin. The sound is so basic, that it is difficult for even a bad sounding pair of headphones to ruin the general tone of a track. The “Piano Sonata No. 14”, also referred to as the “Moonlight Sonata”, is different in that it tries to convey emotions without using words. In the past I’ve heard this track through TOTL headphone systems, only to be disappointed with the lack of emotion that is given to the track. Having a clear sounding midrange isn’t enough to make tracks like these sound convincing. In my testing, the ER3SE replicated this track very well, much better than I was initially expecting. Since the ER3SE is a more cold-sounding IEM, I thought that the signature of it would kill the emotion in the track. This didn’t happen as the ER3SE gave the lower mids as well as the upper mids their fair share in the track. The balanced mix of these two portions of the middle frequencies allowed the track to retain its dramatic presentation. Interestingly, when I first heard this track with the ER3SE, I thought that there was clipping in the background. Initially, I thought that this was a fault of the IEMs, but then realized that this was actually in the track itself. I hate to repeat myself, but this is again a case where more detail was not added, but any unnecessary clutter that may have been blocking this from being heard, was removed. The next instrument that I tried were strings and the track I chose for this test was “The stable song” by Gregory Alan Isakov. Although there isn’t anything special that makes this song stand out from other tracks that feature strings, the quality of the recording is very good overall. When evaluating strings, one might think that all that is needed is more treble in order to make the strings sound better. But this is not the case as headphones which are more treble-heavy have a habit of making such tracks sound thin. Strings do require clarity, but they also require a bit of heft that the mids provide. The ER3SE provides a healthy amount of midrange focus in order to make the strings sound more like guitar strings and less like harp strings. Of course, the detail that the upper mids provide is also important as they are what keeps the strings from sounding like brushes. This might seem like an exaggeration, but I’ve heard the strings on this track sound less like strings and more like brushes on headphones which lack a decent upper midrange. There are more instruments that have a mid-range focus, however, I think that I’ve covered the major ones here. Suffice to say that the ER3SE will perform exceptionally with almost all of these. There is a stereotype among balanced armature IEMs in that they reproduce the mids the best because that is all that they are able to do well. While this statement is clearly false, the ER3SE does replicate the mids very well across the board. Unlike some BA IEMs, this isn’t because the mids are overly emphasized, but because they are replicated accurately. They may not sound as lively as they would with more colored headphones, but across the board, they will be far more enjoyable. If there was one word to characterize the mids on the ER3SE it would be, agreeable. More so than the lower frequencies, and certainly more than the mids, the treble is often the largest area of contention with headphones. Not enough and a headphone is labeled as muddy. Too much and the treble becomes unbearable for even short listening sessions. This is why the treble needs to strike a good balance between detail and control in order to sound appealing. The ER3SE is one of the very few models where I legitimately have no major concerns with the treble. “Within” by Daft Punk has been my reference track when it comes to evaluating detail on a pair of headphones. Many audiophiles already recognize that the entire album is mastered exceptionally well, however, for me personally, the track “Within” stands out from the rest of the album. Although the track starts off with a piano section, it transitions into a mix of cymbals and sparkle. When listening to this track on the ER3SE, the one word that came to mind was purity. There is an aura of cleanliness that is present on this track. Clean would be a better descriptor rather than clear because although the ER3SE does provide a good amount of raw detail, I sense that the clarity in the track is more the result of a lack of any haze that might be present with more colored headphones. Because the ER3SE doesn’t really add any unnecessary treble, the detail that is present is easy to listen to. Now, this doesn’t mean that the treble on the ER3SE is blunted as it is on most other single-driver BA IEMs. The detail on the ER3SE is still fantastic, it just isn’t the spotlight of the show. Of course, aging treble-heads will complain that the treble on the ER3SE isn’t microscopic, but for 99% of listeners, the ER3SE provides a good amount of detail that will compliment most tracks. Another track that I like to test for the treble is “We Three Kings”, the version composed by the Mannheim Steamroller. A beautiful track, yet one that is plagued by an extremely bright treble. The recording itself was done wonderfully, it sounds exceptionally clean and clear, however, it is the use of instruments that makes the track hard to listen to with most headphones. Really the only time when this track doesn’t become unbearable is when listening to it with headphones which have a noticeable dip in the upper frequencies. As you can imagine, with these types of headphones the track loses its magic, making it uninteresting. What I had conceived is that in order for this track to be both enjoyable and easy to listen to, it would have to be heard through a pair of headphones that strike a good balance with the composition of the treble. The ER3SE is one of the very few headphones which manages to tame the flamboyant nature of this track without killing it. That is to say that all the sparkle which makes the track fun to listen to remains, while any unnecessary detail is flushed out. As a result, I was able to listen to this track for well over 10 times in a row without feeling the need to give my eardrums a rest. When it comes to the treble, aside from the issue of annoying upper-frequency peaks, there is also the issue of sibilance, which can make for a horrendous listening experience. As I’ve stated already, the treble on the ER3SE is great because it doesn’t sacrifice detail for the sake of sounding more polite. For the most part, this is how it is, however like the bass, there are a few tracks which rattle the capabilities of the ER3SE. Again I will go back to Rap, in this case, Trap, for my sibilance test. The song “Wonderful” by Travis Scott, has quickly climbed its way to the top as my favorite song for the moment. I really enjoy this song, but I hate listening to it. What this means is that although I enjoy the song for what it is, I hate listening to it because of the heavy splashes of sibilance that are present with this track. When I first heard this song, my eardrums were split open, metaphorically speaking, but at the time I thought that this was the result of the headphones I listened to the track with. Fast forward several months later and I’ve come to the conclusion that this track kills even the most neutral of headphones. The ER3SE once again surprised me as this was the least amount of sibilance which I had heard on the track. There was still some, but at lower volumes, it disappeared. I was finally able to listen to this song without having to reduce the volume every 10 seconds or without having to drastically reduce the amount of treble in my equalizer settings. This puts any concerns over sibilance on the ER3SE to rest as the most sibilant track in my playlist was listenable through these IEMs. Before I make any conclusions, it is also worth noting that the quality of treble is more dependent on other factors like streaming service and DAC quality. There are also adapters which increase the level of impedance on the ER3SE, which in theory should make the treble more even across the board. This would in effect further reduce the amount of sibilance that I heard, although it may have had other effects on the treble as a whole. Eartips are another factor that would make significant changes to the nature of the treble on the ER3SE. In my testing however I was not able to experiment with any of these factors and as a result, I can only comment on the vanilla sound that I heard. In conclusion, I have to say that the treble was the most impressive aspect of the sound quality on the ER3SE. They were able to control the detail without ever becoming too dull. I’ve often heard in the past that neutral headphones kill both the treble and the bass, however in my testing with the ER3SE, I can easily say that having control over these two bands in the frequency, does more to benefit the listening experience. With that being said, if there was one word that came to mind when evaluating the treble, it would have to be, control. Soundstage and imaging: Neutral headphones are predictable, but this also means that there are a few things which they can do wrong. The ER3SE is strong in most areas, but because it is an IEM, the soundstage is easily its weakest area. Going into the review this was something that I was expecting and the results were as I had imagined. Previously I mentioned that I had used a track called “The Stable Song” when I was doing my analysis of the mids. Apart from being great when testing mids, this track also works great when evaluating how “open” a headphone sounds. This is the type of track that was not intended to be heard through headphones in the first place, but rather through speakers in a wide open field. As you may imagine, few headphones, apart from open-back models, are able to make this track sound convincing. Having heard it played live, I know how the artist intended for this song to sound. The very narrow soundstage of the ER3SE meant that this song sounded one dimensional. It definitely sounded more like I was listening to the song in a small room rather than an open field. But this doesn’t mean that it was all negative. The way I see it, there are two aspects that must be taken into account when evaluating the soundstage. One of these is obviously the size of the soundstage, but the other is how accurate the soundstage is. I’ve heard lower-end open-back headphones display gigantic soundstages, but at the expense of precision. With these headphones I have trouble knowing where anything is in the mix of a track, making the whole listening experience seem chaotic. On a side note, this is why it is better to emphasize quality over quantity. Going into how precise the ER3SE was, well it was much better than it was with soundstage size, but I would still say that it was average for something in its class. In order to visualize what I heard, imagine trying to locate an aircraft landing pad. When aircraft pilots are faced with this task, the two options they have are to locate the landing pad through a computer monitor or having to locate it by using their plain eyes. Locating the placement of instruments through the ER3SE was more akin to using a computer rather than using eyesight alone. This may be a terrible analogy, but what I’m getting at, is that the soundstage precision on the ER3SE felt more artificial than natural. In a similar fashion, the imaging on the ER3SE is also quite narrow. When listening to an open song like “The Stable Song”, it becomes clear to me that the ERSE is only good at casting what is immediately in front of the listener. This means that while it is possible to hear most of what goes on in a track, for the most part, only what is occurring in the center of the recording will be easily noticeable. With that being said, it is important for me to note that this is only really an issue with more instrument heavy genres like classical. The issue of the imaging being narrow is not relevant with genres like EDM. What this means, is that when it comes to both soundstage and imaging, these attributes of audio will be even more dependent on individual musical taste. This is even more so the case than it is with bass, mids, or treble. After having said all that, I will say that I was not disappointed with how the ER3SE faired in this department. However, this is mostly because I recognize the intention of these IEMs. Hoping for the ER3SE to sound open would be the equivalent of hoping that an open-back headphone would have the same levels of bass as a closed-back model. There are just some things that are bound to the laws of physics for which no amount of engineering will be able to compensate for. This is a bleak realization, but one that must be recognized when judging the soundstage of the ER3SE accordingly. There is so little that the ER3SE does wrong that is is difficult for me to file any major complaints against it. As I’ve stated numerous times during this review, nothing in this world is perfect, and there are some spots where the ER3SE could improve. The most glaring annoyance that I had while using these was the lack of any clear indicators as to which were the right and left earpieces. 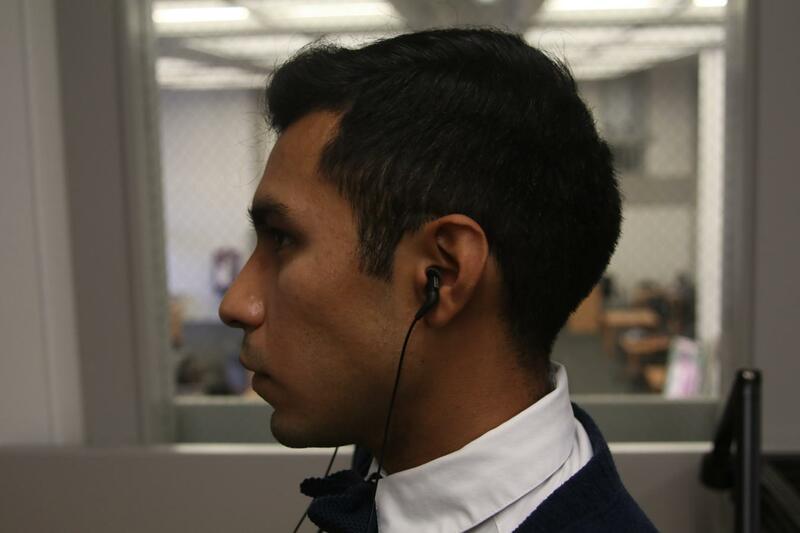 Sure, in good indoor lighting, distinguishing between the two earpieces was not a problem. But aside from perfect conditions, it was awfully hard to tell the two pieces apart from each other. I’m aware that with the original ER4S, the two pieces were clearly marked blue and red. Why Etymotic stopped doing this truly baffles me, but it would be great to bring this simple design element back. Etymotic could also angle the bodies differently, however, it is very unlikely that a company like Etymotic would be willing to go down this route. Another possible way to resolve this issue would be to color code the ear tips. The user would only have to look at the L/R indicators once and then rely on the easy-to-see colors every other time. That about does it for the major gripes I had, all other problems I found were minor inconveniences. The first of which is the use of a non-standard MMCX connector. I don’t really understand why Etymotic chose to use an MMCX connection, but then not allow for third-party cables to be used. Etymotic should either go fully ahead with a standard MMCX connection or go back to using their previous connection. I also think that single flange ear tips should have been included. Most people are unwilling to try triple-flange tips if they have never regularly used IEMs in the past. Foam tips are alien to most people, to the inclusion of regular single-flange tips would be a great way to make more people willing to try the ER3SE. Another issue, that isn’t really an issue, is the lack of a 1⁄4 inch adapter. These can be purchased anywhere for a penny, but it would have been nice to see one included in the box. The same can be said about, not including an airplane adaptor, but again, this isn’t really an issue given that most people who buy the ER3SE will not connect them to a plane. My last critique is more a criticism of Etymotic as a whole rather than of the ER3SE. This would be the lack of an option to opt for a cable which includes in-line mic and controls. Since this IEM is intended to be used with portable devices, it doesn’t make sense that there isn’t an option for such a cable. At this point, this is really just me nitpicking as I can’t seem to find any more serious complaints I have with the ER3SE. Instead of trying too hard to focus on newer trends, the ER3SE focuses on making slight improvements to their age-old formula which has stood the test of time. By sticking to their tried and tested strategy, there is very little for Etymotic to do wrong with the ER3SE. I went into this review with some established preconceptions of what to expect from Etymotic. It appeared that most people, even a large number of those within the audiophile community, didn’t hold Etymotic to the best regard. In my only experience with Etymotic IEMs, I myself had in the past brushed off the company as mediocre. However, in the time that I have spent with the ER3SE, my views on the brand have changed entirely. I’ve said it during this review, but I’ll say it again, in order to review any Etymotic IEM properly, the company’s fundamental roots must be understood. In the same way that a Lamborghini would be ill-suited to racing against F1 cars, the ER3SE cannot be judged in the same way as many other headphones. Once the purpose of the ER3SE is understood, a proper review can then be advanced. What I’m trying to illustrate here is that the ER3SE is not a toy made for enjoyment, but a tool created to replicate audio. The key word here is tool. When thinking of the ER3SE in these terms, it lends itself well to versatility. Sure, it may not have booming bass that’ll make EDM music shake the heads of listeners. Nor will it feature the luscious mids which make female vocals come to life. And it also won’t provide levels of microscopic detail which would certainly make any harp song sparkle. The strict adherence to equality is what makes the ER3SE so great with multiple genres. Of course, it won’t sound fantastic with every track, but this is an unrealistic expectation. It is pretty much a guarantee that it will sound great with most genres across the board and this is why the ER3SE cannot be faulted when it comes to the sound quality department. Yes, there are many IEMs which sound better, however, those will cost a pretty penny, and most will not be anywhere near as versatile as the ER3SE. Etymotic is a safe road, you know what’s coming, but you also know there isn’t going to be anything which would ruin the experience. The only sacrifice here is the lack of any specialization the sound quality department. Every other department from design, to noise isolation, is spectacular without drawing too much attention away from the sound quality. Putting everything into perspective, the root of the matter boils down to what people value in terms of sound quality. Do they value sugar coated enjoyment or do they value the cold hard truth? Being someone who listens to a very diverse set of genres, I’ve already made the conclusion that the ER3SE presents almost every genre as accurate as possible without taking away from the listening experience. How the listener reacts to equality is really an entirely different matter. The bottom line is that the ER3SE makes an effort to portray music for what it is and nothing more than that. From a neutral point of view, the ER3SE does so little wrong that it is hard to fault it without nitpicking or introducing personal issues that the listener may have. I’ve described the ER3SE as an IEM that doesn’t try to be too pompous in any regard, but if there are two things that come screaming out of these IEMs. These two attributes would be functionality and neutrality. If these are your primary concerns in an IEM, then the ER3SE will serve you well. I'm an individual involved in many trades. My pursuit in the truth is what has led me to be so involved with audio. This coupled with my diversity of involvement has allowed me to see audio from a different point of view. I got a portion of these flips earphones at Walmart today. Couldn’t discover any surveys in advance, so I took a risk since I like the manner in which they look. Pitiful to state that I returned them to the store a couple of hours after the fact as a result of the sound quality. The one thing I have issues with is the link smaller scale phonics while wearing link out. This is not kidding issue. When wearing the link over-ear smaller scale phonics isn’t an issue by any means. I have them for 1,5 weeks now. After 1 hr of use the 3.5mm connector got broken, the ground lead became disconnected. After replacing the connector with anew one I am very happy with thes IEM’s. There is much more bass I had expected, clean and deep. 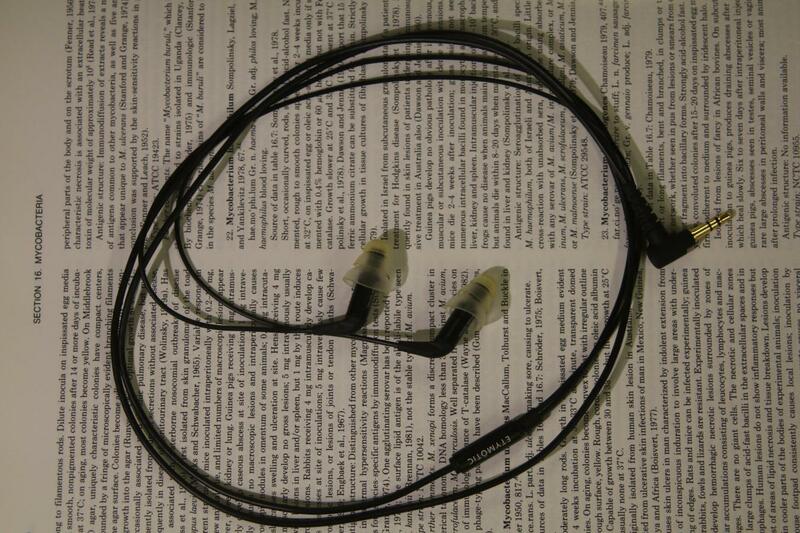 The one thing I have problems with is the cable microphonics while wearing cable-down. This is serious problem. When wearing the cable over-ear microphonics isn’t a problem at all. What I will try is to modify the mmcx connectors of a Fiio LC3.5B cable so they the recessed Etymotic connectors. That cable has supposedly minimal microphonics. The cable has been ordered but hasn’t arrived yet. The conversion if the Fiio LC3.4B was easy, remove the red and blue ring and they fit the Etymotics very well. I have now less microphonics and over ear usage sis less needed. removal of the ear loop plastic was more of a challenge but in 1/2 an hour you have a replacement cable. I love these! The first in ear that I have owned that I actually enjoy listening to. Do these Entymotics have any microphonics with the cable? Also, can these be used with the Entymotic custom ear molds? And if so, has anyone purchased them and is there an improvement in sound and/or comfort? yes the cable has microphonics , but as stated above, if you wear the cable over ear most of the microphonic noise is cancelled.